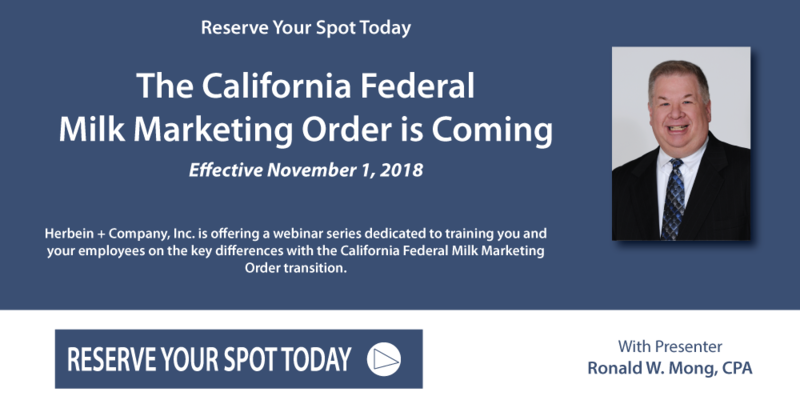 On November 1, 2018 California will evolve to the Federal Milk Marketing Order (FMMO) system. In adopting the Federal Order system, California will leave their unique rules and methods and conform to the rules used in most of the USA. Every California dairy processor needs to make many important changes to their milk procurement and accounting systems. As a leading CPA firm to the national dairy processing industry, Herbein + Company, Inc. is offering consulting services to assist you and your company throughout this transition. This page is designated to the California Federal Milk Marketing Order and educating you with some key changes as the transition takes place. 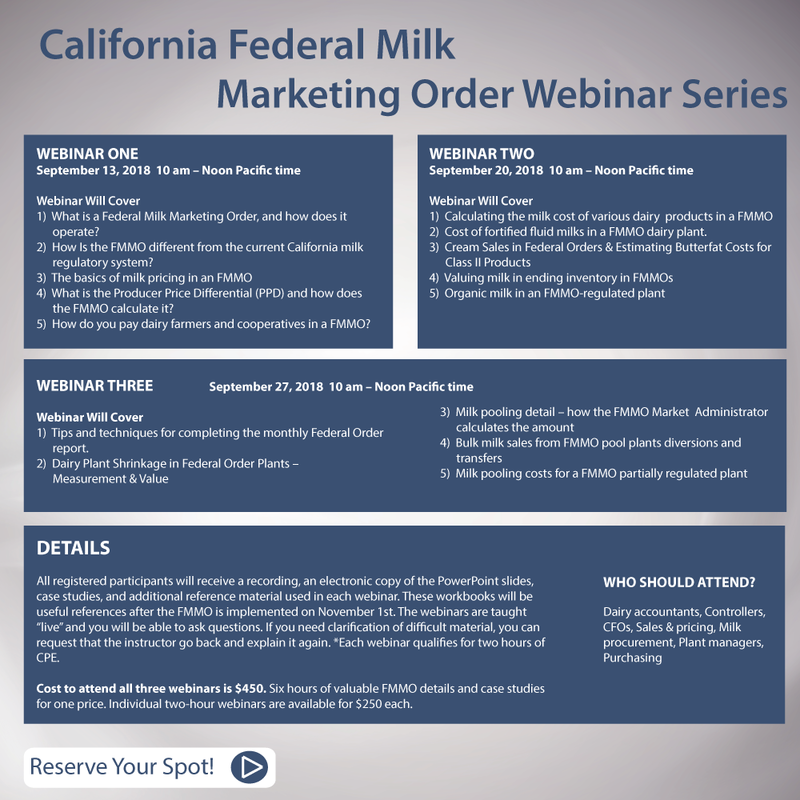 Join Herbein + Company, Inc. for a series of webinars as we walk through the transition to the Federal Milk Marketing Order. Key differences in milk pooling within the new California Federal Milk Marketing Order. A completely new concept to all dairies in California within the new California Federal Milk Marketing Order. Please submit the form below to reach out to Ron Mong for additional information regarding the California Milk Marketing Order, or any dairy consulting services.